It is nighttime already. The mighty rumor of by-passing chicken buses shakes the walls of a quaint, dimly-lit corner room dressed in colorful tapestry; outside the house, the moon fills each of the cracks in a dashboard made thirty-two years ago, with playful reflections bouncing off the odometer below, to reveal an amount slightly past 150,000 miles. The ghostly pallor of my laptop illuminates a few scattered equations from nights past; above the kitchen top, a teakettle boils. In the middle of the dark patio, a tall figure looks up in silence. 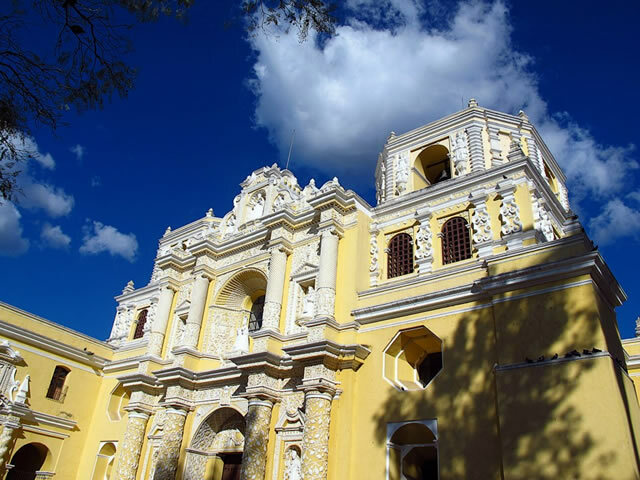 Antigua is a blend of the solid and the imaginative. Photo by Azucena Chang. I have been living in Antigua for the last month and a half, and things have settled in a calm sense of habit. In the morning I practice for countless hours for my GMAT exam and fill in applications for scholarships; in the afternoon I teach English to cover my expenses, and in the evening I research opportunities and watch films that I missed while being in college. Lately, the idea of returning to school to pursue an MBA has been floating in my head: a major in business has the sense of creativity and big-thinking that I yearned for in Art School, the development of full potential I found in automotive restoration, and a realistic chance to travel to exotic locations and help people help themselves. Should the school route fail, I have three exciting job offers in Oaxaca, Seoul and New York City. While I am not in a hurry to zoom through the continent to finish, I am excited about the prospects that await as soon as I roll into the streets of Ushuaia exclaiming, tear in my eyes, hands clenched on the wheel “Good job, pal! We did it!”. 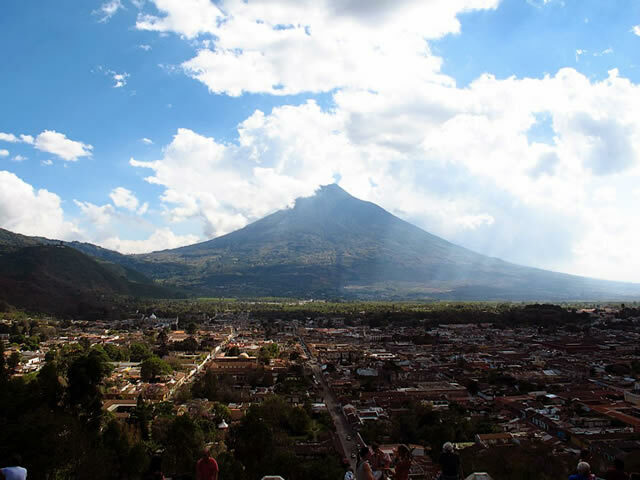 The magnificent view of the "Volcán del Agua" (Water Volcano) from the Cerro de la Cruz. As the expedition heads South, the colors in each town just get brighter and brighter! Photo by Azucena Chang. When I get a break from my test prep and my afternoon teaching, I slip into a tatty shirt and I spend my time walking and wrenching. 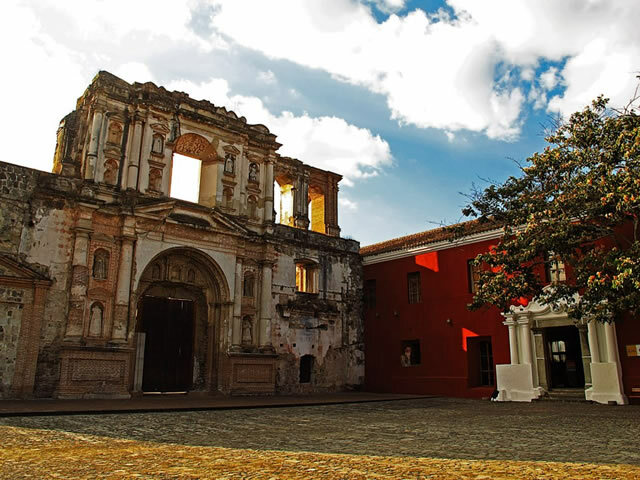 Antigua is home to some of the most enchanting and colorful monastery ruins in all of Latin America; its cobblestone streets, as much as a pain to drive through as they are, make this charming town ooze with colonial flavor. 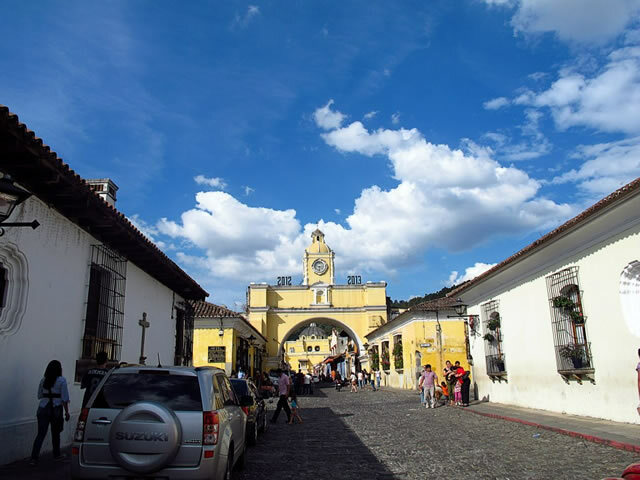 Very much in the line of San Cristóbal de las Casas, Antigua becomes the daily meeting point for indigenous peoples –who descend into the valley in cramped, smoky “chicken buses” to work and sell their merchandise– and English-speaking foreigners eager to learn Spanish and seek adventure in exotic lands and lost villages. 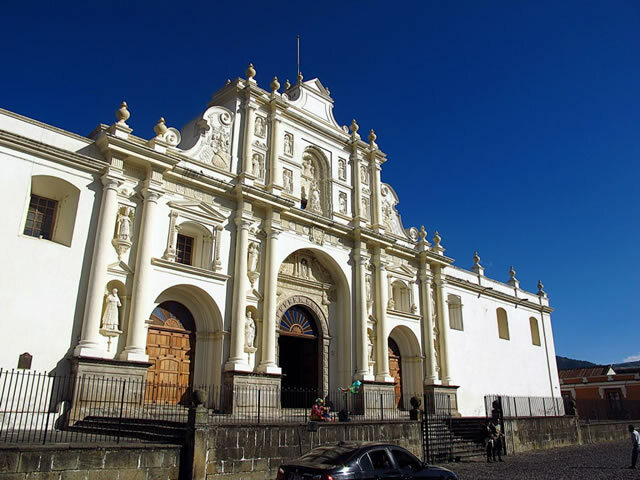 The Church of La Merced has survived a few earthquakes; it looks brand new right now. Photo by Azucena Chang. 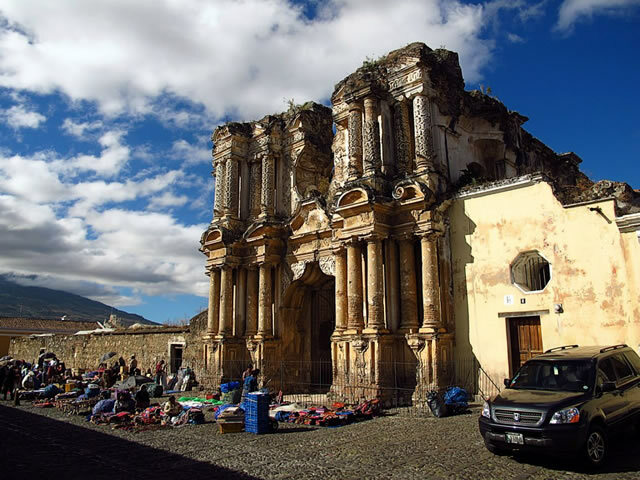 Other churches and monastery have not been as lucky... Photo by Azucena Chang. 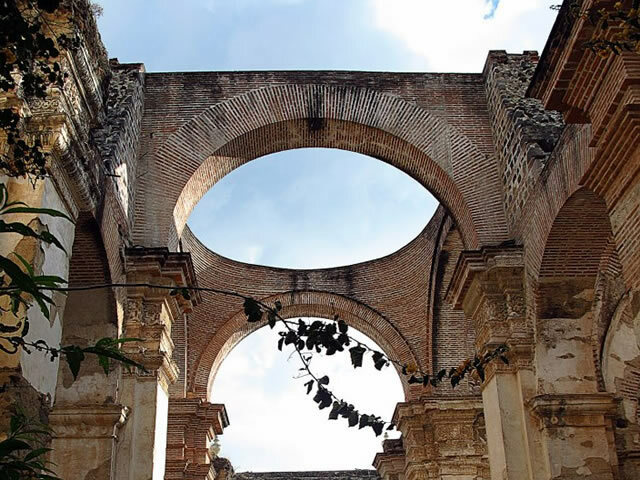 Antigua probably has the highest ratio of romantic monastery ruins per capita! Photo by Azucena Chang. My favorite activity so far has been the process of fixing up some cosmetics on the Mercedes. However, don’t be fooled by the apparent insularity of this action: the need to obtain supplies really makes for a truly integrating experience. Two blocks from the main square you will find a little hole-in-the-wall shop with no name, ruled by a very friendly “Chapín” (colloquial word for a Guatemalan) who spends most of his time behind a 1920’s sewing machine: from this man I bought a bunch of sheet foam and some assorted cotton material to restore my sunvisors. Further East, towards the end of town, a 6’4 man named Günter lends me a “Mitivac” hand pump to diagnose my vacuum locks, and talks enthusiastically, in perfect Guatemala Spanish, about his father’s Gelandewagen project, and how there is a couple Gullwings hiding in the outskirts of town. On the walk home, I find my friend Ricardo riding his Land Rover towards the hills; he asks about our common friend Dillon, laughing as we remember how our Candelaria Church barbeque was broken up by the police, and recalls that he still owes me a fuel filter. This former marketplace was renovated by the Spanish government into a cultural center. Photo by Azucena Chang. 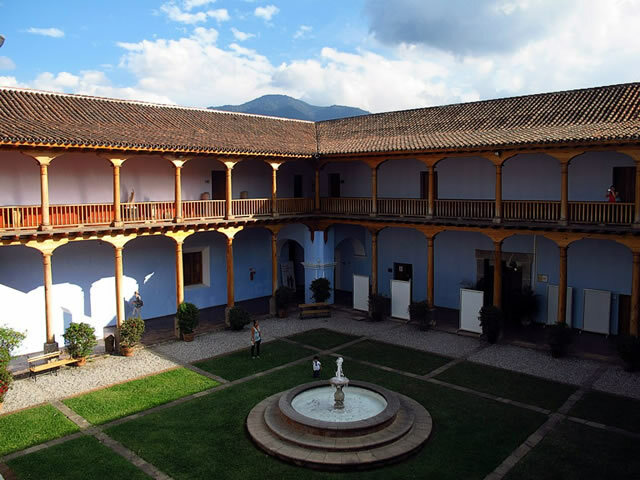 The Spanish colonial presence is obvious in town. Photo by Azucena Chang. 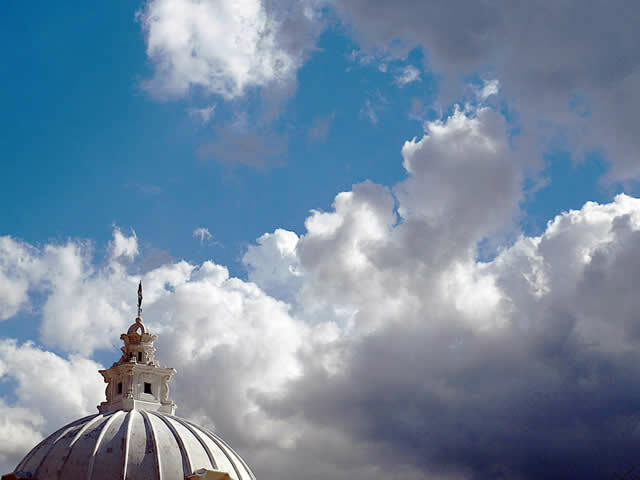 The true charm of Antigua, besides its robust architecture and noble folk, is the status of the town as a major stopover in the Great Pan-American Route. In just a matter of weeks I met the brave expeditionaires from 30forThirty (http://30forthirty.org/tag/panamerican/) and PatagoniaOrBust (http://patagoniaorbust.com/). Just like any town along the Silk Route, or just like any of the sleepy villages along the Amazon River, every polished sidewalk, every weary bartender and every quiet arch bears witness to a small fraction of a major life story. From the smallest oil stain on the ground to the most insignificant scribble on a wall, from the invisible nail scratches on a wooden table to the dark eyes of the Maya shoe shiners, Antigua has been the grounds for itinerant people who doubt, fight, cry, love, defy, connect and dream in this minuscule bit of planet Earth. But then, they go away, and by some sort of miracle of these absorbent walls, they leave enough of themselves to consider the ground sacred. Wherever you go you will see ruins from a splendorous past. Photo by Azucena Chang. 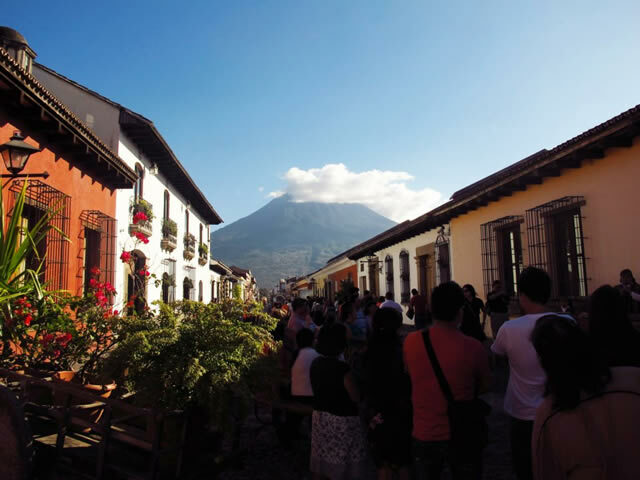 At night, the air in Antigua cools down, and wraps itself in candlelight and the trot of horses. As I get out to the patio and observe the clear firmament, I think about all these generations of travelers, past, present and future. I think about how, –despite the noble deeds, dusty memories, promising plans and the violent crimes incurred on this land– how all those constellations just sit above, ever so immutable and peaceful, watching us. Gorgeous pictures! We were in Antigua for New Years Eve and what a nice place to be to welcome the New Year. ...in the FUTURE! Ha, ha! Once again Miguel your scribe is terrific .